Only Hospital in Hyderabad to perform the highest number of liver transplants in Andhra Pradesh and one of the highest in the Country. 200th liver transplant performed on a 36 year old lady in coma with acute liver failure. Sister donates a part of her liver. Hyderabad, 11th December’12: Global Hospitals in Hyderabad announced that it has set a new record by completing 200 Liver transplant surgeries at its Lakdi-ka-pul facility. Pioneers of the Liver Transplant programme in the country since 2003, Global Hospitals Group, is acknowledged as the world’s most comprehensive centre for Liver & Pancreas diseases and Transplantation. Global Hospitals at Hyderabad started it’s Liver Transplant programme in 2003 and within a short period gained immense reputation as the foremost centre for liver transplants not only in the country but worldwide. The 200th liver transplant surgery was performed on a 36 year old lady from Hyderabad, with acute liver failure, brought on a morning to Global Hospitals at Lakdi-ka-pul in a comatose condition. The Doctors upon reviewing her condition recommended a liver transplant as the only option to increase her chances of survival. Fortunately, the patient’s 40 year old sister’s liver was found suitable and she immediately agreed to donate a part of it. Quickly completing the mandatory pre-transplant work-up procedure on the patient and donor, the urgent transplantation procedure was by evening. The LIVE-RELATED DONOR LIVER TRANSPLANT on the patient was performed, while she continued to be in a coma condition. Liver disease patients are primarily assessed by the team of Hepatologists led by Dr. Dharmesh Kapoor, to be treated through medical management and if the condition of the liver is serious they are advised for a transplant. The large team of Liver transplant surgeons, Hepatologists, Critical Care Specialists, Anesthetists and trained Nursing care in the dedicated Liver ICUs, deliver exceptional patient before and after the transplant. 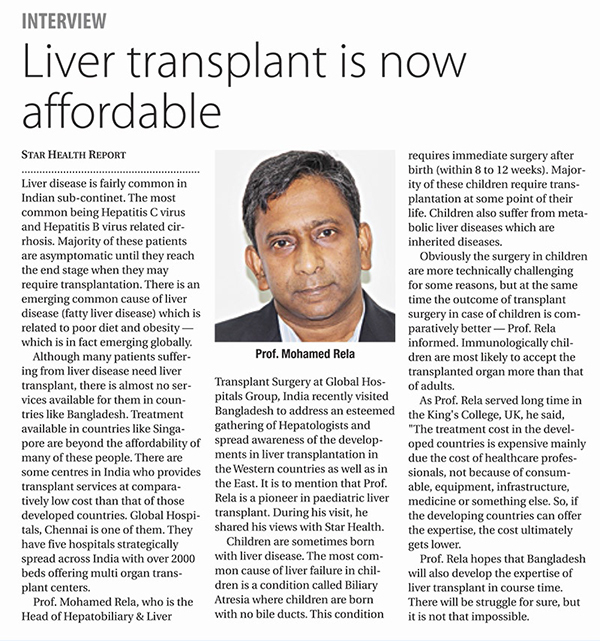 Addressing the media, world renowned liver transplant surgeon, Prof. Mohamed Rela said, “Typically worldwide if a liver transplant programme performs over 100 transplants, we can say that it has evolved into a very mature programe. Hence, Global Hospitals in Hyderabad completing 200 liver transplants is an important milestone. The experience gained shows that we have been able to enhance our capabilities to perform a much wider variety of procedures than earlier. It gives us the confidence to successfully perform liver transplants on extremely sick patients too and also perform not only cadaver transplants but also a large number of live related donor transplants. In our country, as we see an increased awareness on organ donation, we should be able to also see an increase in cadaver transplants, as this will reduce the dependency on a donor within the family. 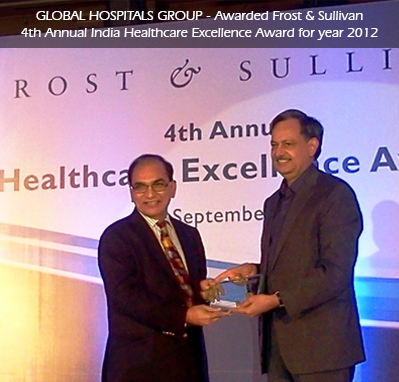 “Global Hospitals is a multi-super specialty, tertiary care hospital chain. It is India’s largest multi-locational, multi-organ transplant centre, which performs LIVER, HEART, LUNG, KIDNEY ORGAN TRANSPLANTS. a distressing disorder which causes severe difficulty in swallowing, reflux, chest pain and eventually esophageal cancer.This innovative surgery was performed through the mouth. “Because of dramatic advances in technology, we can now perform complex surgeries through the mouth with no external cut. What we are seeing is the evolution of surgery into special procedures of endoscopic surgery which need no incisions at all. This technique was invented by Prof. Inoue from Japan and later popularized by Prof. Zhou from Shanghai, China. After taking training from Prof. Zhou recently, I was motivated to do this procedure in India for the first time”, said Dr Amit Maydeo, Director of the Baldota Institute of Digestive Sciences at Global Hospitals, Mumbai. 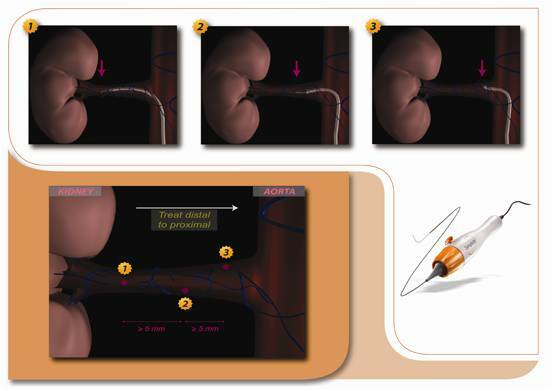 Elaborating further on this innovative surgical technique, Dr Maydeo said “That we see around 200 to 300 new patients of Achalasia Cardia in the city of Mumbai alone every year. Achalasia cardia was a condition where the muscles of the food pipe are too thick and do not relax after swallowing. Therefore these patients cannot swallow their food, sometimes water or even their own saliva. It is a very distressing disorder and due stasis of the food in the esophagus, around 10% patients develop cancer of the food pipe eventually. This condition has been traditionally treated by a Laparoscopic myotomy surgery which usually requires around 2 hours and around 6 small incisions in the stomach. Balloon dilatation has been another method to treat these patients but the procedure is associated with an uncontrolled rupture of the muscle fibres and is therefore considered dangerous. 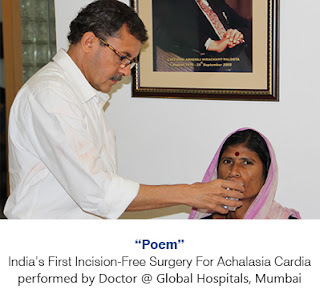 The new technique called ‘POEM’ which was performed for the first time in India by Dr Maydeo is a type of Natural orifice surgery performed through the mouth and can be completed in less than 90 minutes and the patient starts swallowing food from the next day itself thereby preventing the development of cancer. Pooja, (Name changed), a 54 year lady from the Udgir taluka of Latur District of Maharashtra suffered from chronic achalasia for twelve years resulting in a 10 Kgs weight loss. She said, “When I tried to eat, the food would get stuck in my throat. Since the past few months, I could not even swallow water properly. All the water used to come out forcefully. I was completely depressed over the past two years and could not lead a normal life. 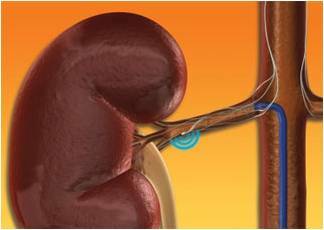 I had undergone a balloon dilatation few months back but I did not get any relief at all. 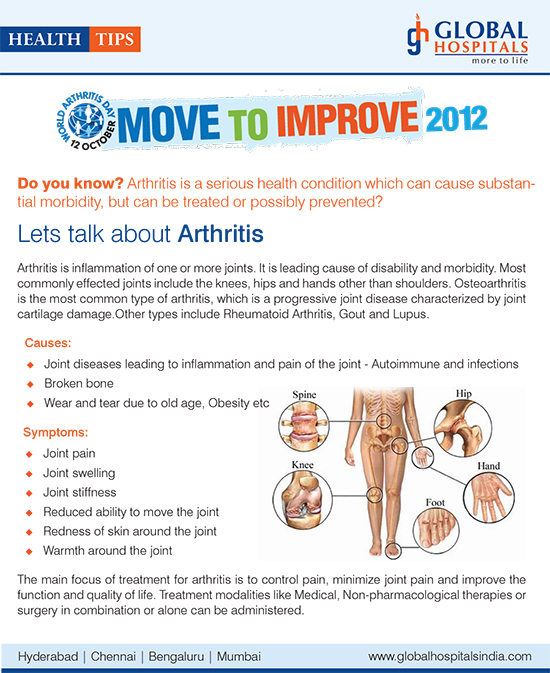 I was advised surgery but was too scared to undergo such a major procedure”. She further added, “Since this scar-less surgery has been done, I do not even feel that I have had a procedure. I knew that this was the first time this procedure was being done in India but I wanted my doctors to find a potential new treatment for this distressing disease”.